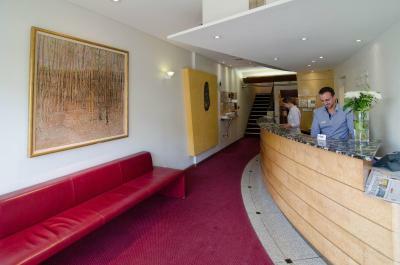 Lock in a great price for Arts Hotel – rated 8.3 by recent guests! Very basic hotel but the staff was super friendly and helpful. If you are looking for a place to stay in a great location this is a good choice. 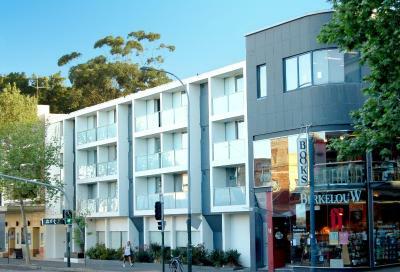 It is between CBD and Bondi beach with the bus that will take you to either location passing in front of the hotel. 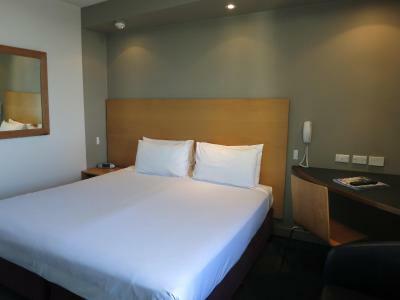 The beds were not as comfortable but it was ok, the room was clean and if you needed something the staff was very quick in responding. I arrived on saturday december 30 2018 in the afternoon and there were two excellent receptionists, two girls really helpful. 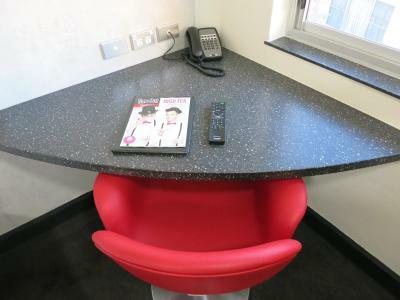 The location is excellent, near bus stop and not too far from several key points. The bed is comfortable and WiFi works well. Check in and out is easy and quick. 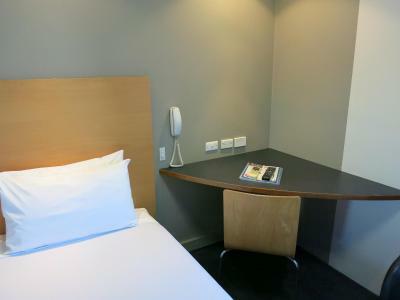 It’s the cheapest hotel I could fine for new year‘s eve. 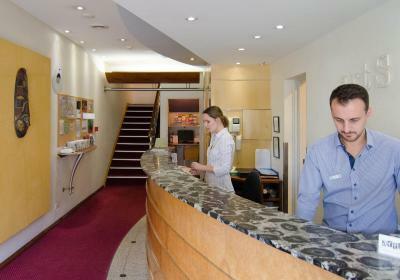 The staff were excellent, very friendly and accommodating. Liked the location of the hotel! The location was awesome! In the middle of everything and there's regular buses available to go Bondi Beach and Circular Quay. The hotel was quaint and had everything needed for a good night's stay. They gave out discount card for some shops and services nearby. The bar next door was great and had nice seafood on Fridays - Sundays on their menus. Overall, it was a comfortable stay. The Arts is very centrally located so it’s just a hop skip and jump to the markets, bus and ferry, restaurants, and more. Highly recommended. Great location, super friendly Staff. 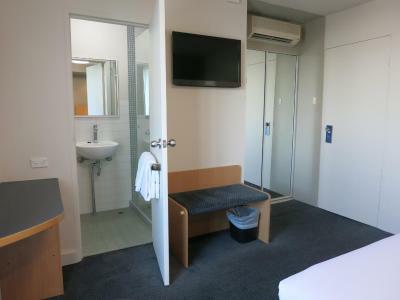 Unusually large rooms for Sydney standards. Very clean, triple glazed balcony doors, so no outside noise. Good beds. I will return. Located close enough to walk around the gayborhood of Sydney. I like the 10% discount with the restaurant beside it. helped me saved a lot of money. it has really good food. 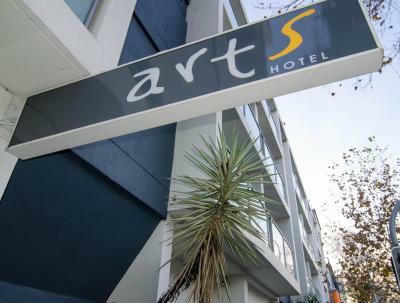 Arts Hotel This rating is a reflection of how the property compares to the industry standard when it comes to price, facilities and services available. It's based on a self-evaluation by the property. Use this rating to help choose your stay! 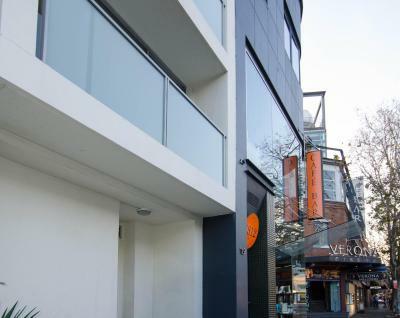 The Arts Hotel on Oxford Street is located in the fashionable inner city area of Paddington, just 1,300 feet from Taylor Square. 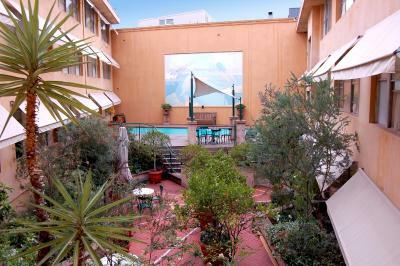 This hotel is surrounded by specialty boutiques, restaurants, cafes, cinemas and galleries. 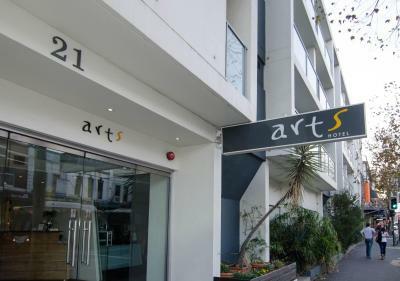 Arts Hotel is located next to UNSW Art & Design and is 5 minutes' walk from both Victoria Barracks and St Vincent's Hospital. 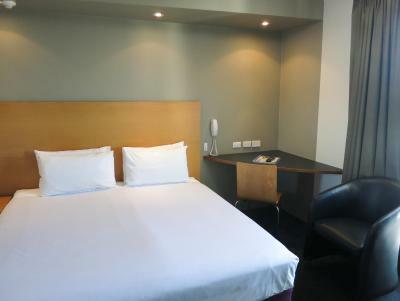 Both Allianz Stadium and Sydney Cricket Ground are 10 minutes' walk away. The iconic landmarks such as Sydney Harbor, Circular Quay, Sydney Opera House and the Sydney Harbor Bridge are all within 2.5 mi away. 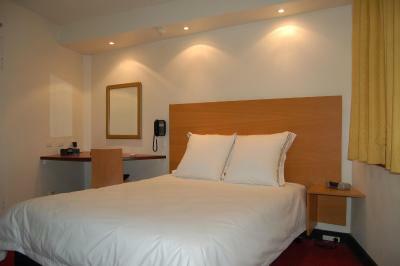 The accommodations provided is medium-size and has a private bathroom with shower. 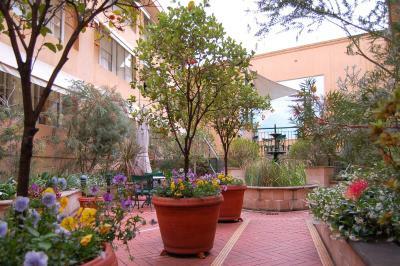 The Arts also has an enclosed garden with a swimming pool, where you can cool off on a hot afternoon. The guest bicycles are freely available to use. 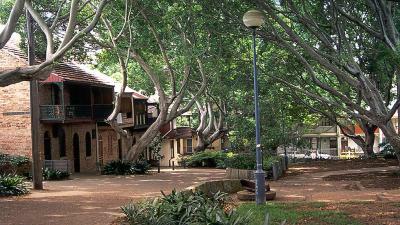 Paddington is a great choice for travelers interested in atmosphere, city walks and beaches. 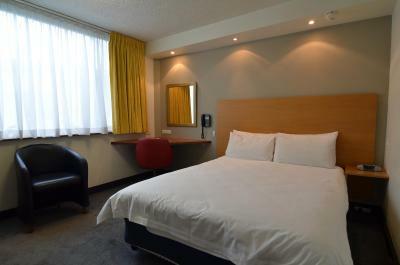 When would you like to stay at Arts Hotel? 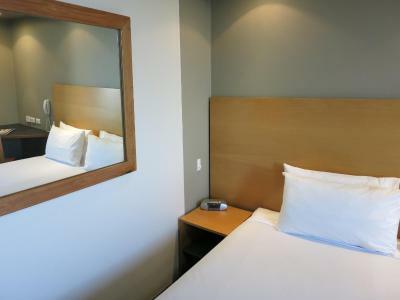 Hotel surroundings – This neighborhood is a great choice for travelers interested in atmosphere, city walks and beaches – Check location Excellent location – show map Guests loved walking around the neighborhood! House Rules Arts Hotel takes special requests – add in the next step! Arts Hotel accepts these cards and reserves the right to temporarily hold an amount prior to arrival. You must show a valid credit card upon check in. This credit card must be in the same name as the guest's name on the booking confirmation. If you are unable to provide this card please contact the property in advance using the contact details found on the booking confirmation. Please note that a 3% surcharge applies for payments with American Express and Diners Club credit card. Please note that this hotel has a 'No Smoking Policy'. Please inform Arts Hotel of your expected arrival time in advance. You can use the Special Requests box when booking, or contact the property directly using the contact details in your confirmation. the location was great and the staff were very friendly. I was able to get to all of the places I wanted to visit by foot or a short Uber ride. I really liked the room, bed was very confortable and overall the room was really clean. The staff were exceptionally helpful. Mark went way beyond the call of duty to help us out with a very unexpected issue that arose. Nothing was too much trouble for any of the reception staff. Ladies servicing room were extremely pleasant as well. Hotel was spotlessly clean. We were given access to our room as soon as we arrived at the hotel before noon following a 30 hour journey from Scotland, it was so appreciated. Facade on bottom level under construction so looked like a work site. Good location for Moore Park footy grounds. 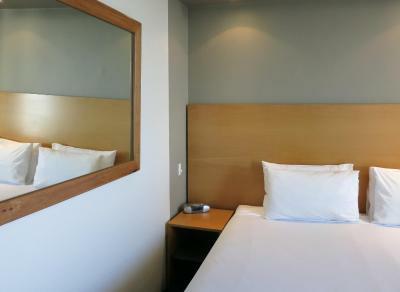 Clean and comfortable room, close to cafes, easy to get there by bus and foot. Good value for money. Good neighbourhood cafes and great pub next door. The location is excellent for what I need and the staff were friendly and helpful. Hoarding outside hotel gave impression of being closed. No towels in room. Tired rooms in need of updating.